Ballet companies are located all around the world where they perform, tour and travel to many main cities. It is the ultimate goal for a striving ballet dancer to be part of a professional company and many young dancer spend years of their life training towards this dream. New York City Ballet is an example of a very well-known classical company. It is a big organisation consisting not jut of dancers, but also musicians, choreographers and designers. The company is famous throughout the world and especially known for its rich history. Many people are fascinated by professional dancers and ask, "what do you do each day?". Well, it is extremely hard work and a committment for dancers that becomes a way of their life. The days are spent rehearsing and practicing to perfection, before entering a season full of performances. Please feel free to ask any question or relate your experiences at the bottom of this Ballet Dancers Page‏. I have designed the special visitor sections just for you to have your say. Once a dancer has reached a professional ballet company, their career has fully begun and dancing becomes their profession. Many people do not realise that ballet is a full-time job. It is constant hard work and dedication that you have to give your whole heart to. There are a huge number of dance companies around the world, both in classical ballet and contemporary dance. You will notice there is a major ballet company nearly in every country, which holds a great significant to bringing performance and art to the audiences. Perhaps you are already familiar with the dance companies in your country, but you must realise there are so many more around the world! The list would be nearly endless to state every single dance company. Although each ballet company is very unique and individual, there are many similarities. They are full of people with a passion to perform and share ballets for the audience, whilst still bringing new inspiring works for the dancers. It is typical for a ballet company to have an association with a ballet school, where they train the younger dancers for the profession. This association helps give opportunity for training dancers, whilst also giving a clear goal to become a real professional dancer. However, today, there are many international dancers in every type of company with different training and teaching. This means, it is never an automatic progression for young dancers to go straight into the associated company. It is a lot of hard work to find a professional contract for dancers and many have to move abroad to find work. This can be exciting and thrilling to travel the world, yet also a realistion of how tough the ballet profession really is. You will notice by looking more into companies that you have to be very versatile as a dancer to join them. Every company, if not all of them, will perform contemporary works even if it is a pure classical company. The repertoire is very diverse in most professional companies, because they strive to keep the dancers creative by bringing the dancers new and exciting works. 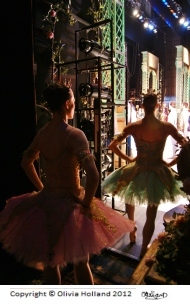 A ballet company will generally have a home theatre where they are based and perform most of their performances, however a lot of companies tour around their home country or go worldwide. 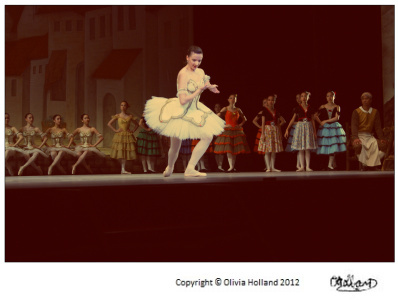 You could say most of the time for dancer's is spent rehearsing to make what you see on stage look perfect. The performances are so beautiful and spotless, but it takes a great deal of practice to reach that level. 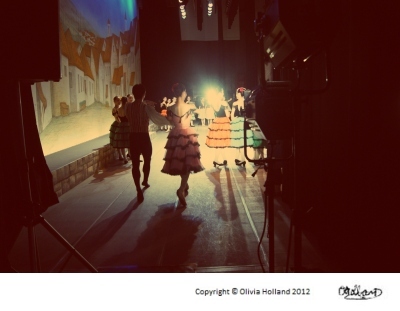 Enter Your Title e.g "Which are the main ballet companies in England?"